Reader poll: Who should be Euronews' Sports Personality of the Year? Euronews asked readers in December for their vote on who should be the 2017 Personalities of the Year—in fields including space, innovation, culture, business, EU and sport. 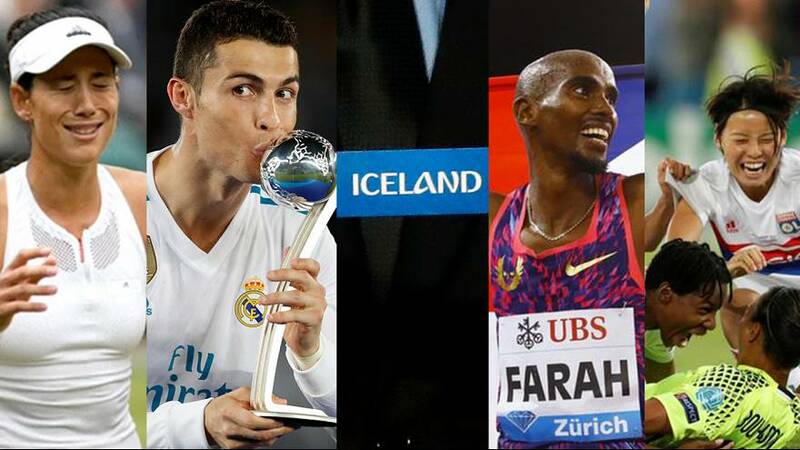 Find out more about Iceland Football Team, which won Sport Personality of the Year, and the other nominees below. The British distance runner took home the 10,000m title for the third consecutive year at the 2017 World Championships. The four-time Olympic champion's win set a new record, making him the first athlete to win 10 consecutive global track distance titles. The Cinderella team of the UEFA Euro 2016 have proven they are not a one-hit wonder. This year Iceland became the smallest nation (population-wise) to ever qualify for the World Cup. Ranked 131 in FIFA’s world rankings just five years ago, the team is now placed at the 21st spot. Next year will also mark the first time the country participates in a World Cup. The Spanish tennis player won the Wimbledon title this year, defeating Venus Williams in straight sets. The victory marked her second major title, and she became the first-ever player to defeat both Williams sisters in major singles finals. Her performance this year has bumped her up to the No. 2 slot in the WTA rankings. The Lyon powerhouse has dominated European football this year. They clinched their second straight Champions League title for the 2016-17 season, and the holders are set to defend their cup this season at the quarterfinals in March. A study this year also found that the Lyonnais team is the highest-paid female sports team in the world. A man who requires little introduction for football fans, Cristiano Ronaldo won his fifth Ballon d’Or this year, equalising Lionel Messi’s record. The season also marked other milestones for the 32-year-old Portuguese national, as he became the first player to score 100 UEFA Champions League goals, and it’s the sixth consecutive year that Ronaldo has scored more than 50 goals in a calendar year for club and country.